Labcase - Open Device Lab, in a case. 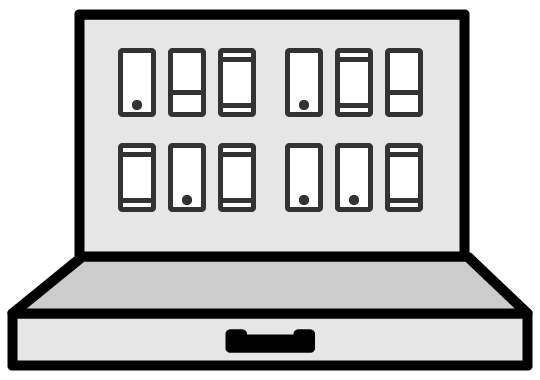 Open Device Lab in a case. A compact test-suite that comes to you. Organising a team trip to a Lab takes time and money. Have a Labcase delivered to your workplace. Instead of one day at a Lab, you can keep the Labcase for a week or two, giving you more time to test. You can find bugs and fix them more quickly whilst sat at your own desk. 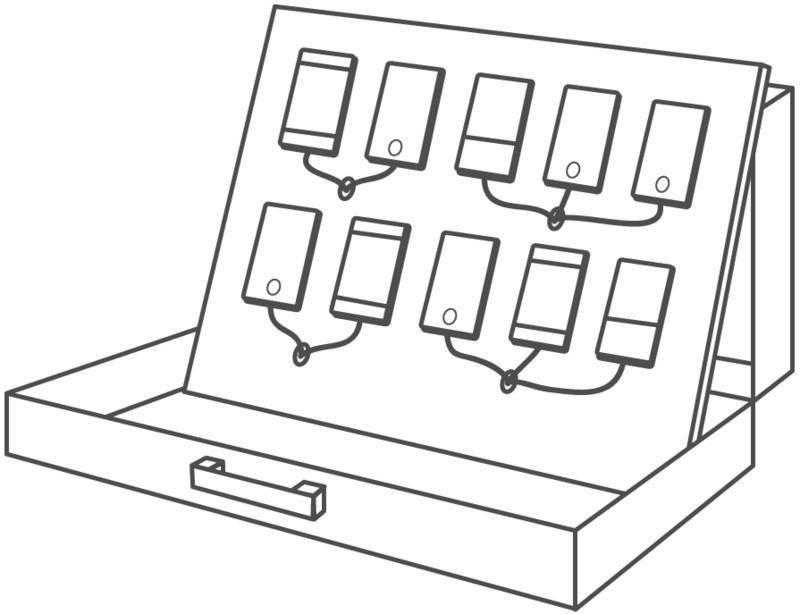 Everything you need to setup a temporary Device Lab — delivered to you in case. 10 devices, ready for testing. Supplied with USB hub and cables for charging. Packed-up safely inside a flightcase. Comes with instructions to help get you up and running. It should be as easy as connecting each phone to your WiFi then booting up your testing software. There are lots of ways get the devices to sync. Some of the ones we've used are Ghostlab, BrowSync, Remote Preview, Browser sync. but we'll let you choose. We send out the Labcase on Monday. It arrives at your workplace on Tuesday. We arrange collection for Friday. Labcase is a new initiative, started by Etch, to help Device Testing become a standard part of everyone's design & development process. We're starting off with a couple of Labcases and at first they'll only be available for hire in the UK. ODLs are awesome! In a perfect world, we'd all have one on our doorstep. Until that day arrives, a Labcase is the next best thing. We're always looking to grow our collection of Devices, so if you have an old Smartphone or Tablet that you don't need, we can give it a new purpose. If you've been inspired to setup your own Labcase, let us know and we can list it here, for hire. How we made the first Labcase. Hire a Labcase for your next project. £50 covers the cost of Delivery & Collection (UK only) and postal insurance to cover loss or damage upto £1000. Labcase will be ready soon.